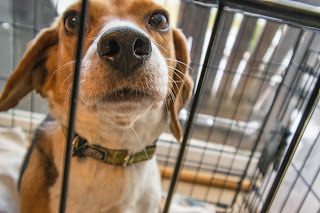 Some people view crating dogs as cruel and it can be if dogs are confined excessively. However, done correctly, crate training teaches dogs a number of important life skills and provides dog caregivers with an effective management tool. 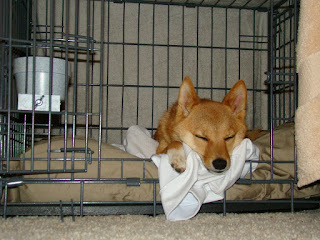 From my point of view, the benefits of crate training for both dogs and their owners far outweigh the potential risks. 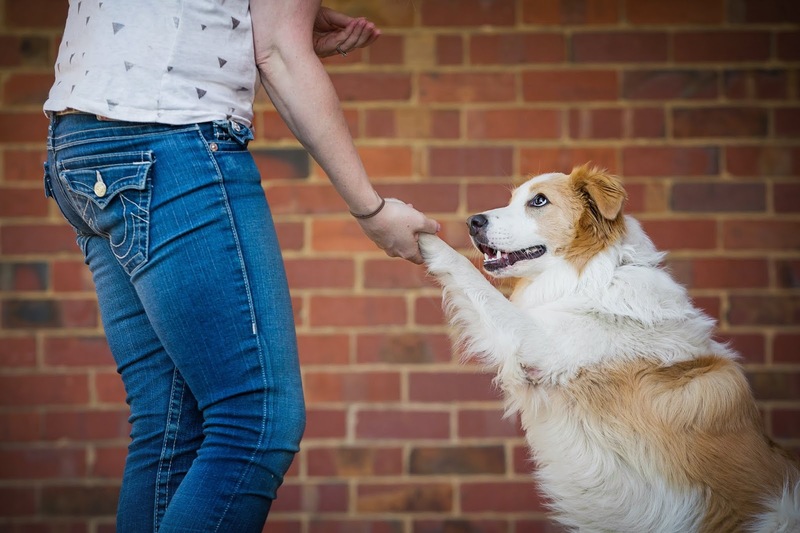 When is the best time to crate train your dog? The best time to start crate training is the day you bring your puppy or adult dog home. Puppies adapt well to crate training as part of their new routine as soon as they come home. Newly acquired adult dogs can take a little longer to learn to love their crate, especially if they’re not used to being confined. There are a number of different types of crates to choose from including wire, plastic and fabric. Choose a style and material that suits your needs and your dog baring in mind that you get what you pay for in terms of cost. Some materials, such as plastic and fabric, can easily be chewed and may not be the best choice for puppies. Wire crates are great because they fold down for ease of transport and storage - One of the reasons I chose a good quality, sturdy wire crate for our dog Lenny. Whatever type of crate you choose, be sure to purchase a size that allows your fully grown dog to stand up, turn around, lie down and stretch out comfortably. Place the crate in a room or area of the home where you (or the family) spend lots of time. This will help your dog feel more relaxed as they’ll be able to see you when they’re inside the crate. At the beginning of the training process, place a towel or mat inside the crate to prevent your dog from slipping. These can easily be washed if necessary. 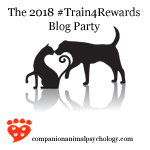 To begin the crate training, start to build a positive association with entering and being inside the crate for short periods while you’re nearby. At first, leave the crate doors open so your dog can enter and exit freely. Use praise and high value treats to entice your dog to go into (and momentarily stay inside) the crate. Repeat these training sessions daily. Outside of the training sessions, there are other ways you can build on creating a positive association with being inside the crate. Feed your dog their meals or give them puzzle toys filled with high value treats or long lasting chew treats inside the crate. Give your dog their favourite toys inside the crate. Place your dog’s favourite bed inside while leaving the crate door open. Begin closing the crate door during training sessions but only if your dog is comfortable inside the crate and shows no signs of stress when you gently close the doors. This may take several days or weeks depending on your dog and how much training you do. Gradually increase the time your dog stays inside the crate and the time between food reinforcement. Next, start to leave the room for short periods of time (e.g. 1 or 2 minutes) while your dog is inside the crate eating a meal or treats. This step is important and teaches your dog to cope with separation from you and to be comfortable on their own. Gradually increase the time you step away but only if your dog is coping well at the previous step. Once your dog tolerates absences of 2 minutes increase it to 5 minutes, then 10 minutes, then 15, 30, 1 hour etc. Remember to only increase the time out of sight if your dog remains calm and relaxed. Next see if your dog will sleep inside their crate, on their favourite bed, overnight. 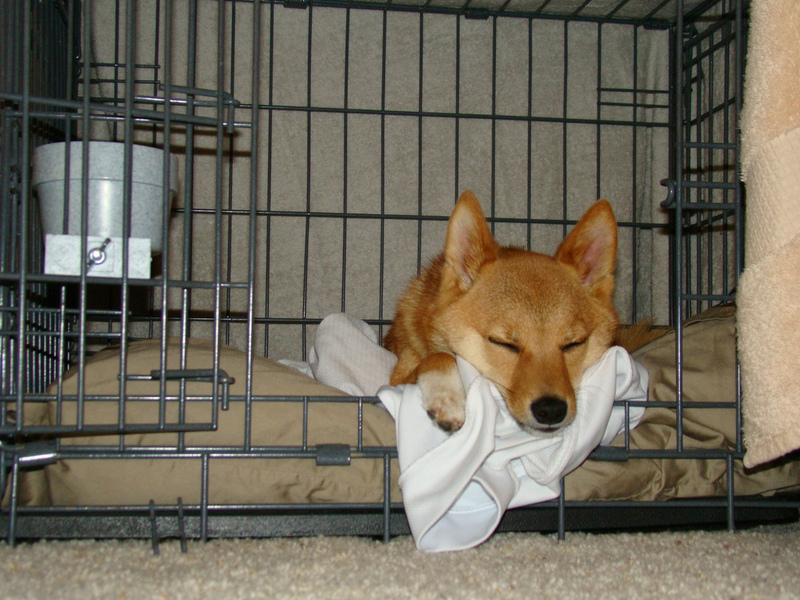 Once your dog is happy sleeping inside the crate overnight you can practice leaving your dog inside the crate when you leave the house for short periods. Eventually, your dog will enjoy spending time in and sleeping in the crate without the need for constant reinforcement from you. However, it’s a good idea to give your dog a treat or meal inside the crate, every now and then, to maintain a positive association. When crate training my own dog Lenny recently, I used the Pet Tutor. With two toddlers, I’m very time poor at present! The Pet Tutor made the whole process incredibly easy and did most of the hard work for me! Watch the video below to learn more about the Pet Tutor and how I used it to crate train Lenny. (Note: If you live in Australia and wish to purchase the Pet Tutor, contact me for a promo code to claim a free small treat adaptor and bag of treats! Australians can purchase the Pet Tutor here). For me, the whole process took about three weeks of daily training sessions for Lenny to be completely relaxed in the crate and happy to sleep inside overnight. However, it’s important to recognise that every dog is different and the process might be quicker or longer for you and your dog. Whether or not you decide to crate train your dog really comes down to personal preference and circumstances. However, having a dog that’s crate trained can certainly make living with your dog that little bit easier. This has certainly been the case for myself and my family. If you decide to give crate training a go, we'd love to hear how it goes! This is the story of how Lenny the Border Collie came into our lives and his first year with our family. 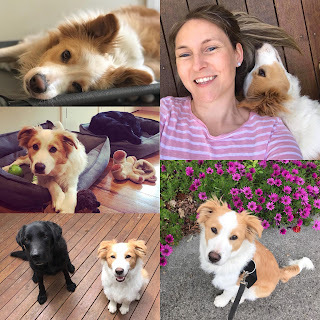 I wanted to share his story to raise awareness of rescue dogs and to provide some insight into the steps we took when adopting our own rescue dog. It all began back in September 2017 when I had an overwhelming urge to add another dog to our growing family. At the time our two little boys were two and one year old. Our old Labrador Joe was unwell and I was sad at the prospect of not having a canine companion to share our home. 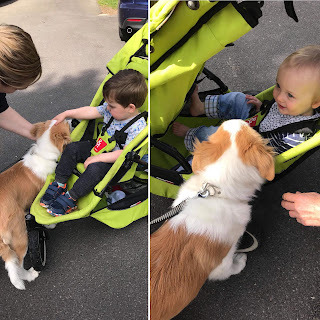 I knew that a young puppy would be too much work with two toddlers so I contacted a lovely friend who worked at a local animal shelter. I emailed her a list of very specific characteristics, secretly thinking such a dog was unlikely to end up at the shelter...Boy was I wrong! ...Enter "Ken". My friend called several weeks later to tell me about a lovely 5 month old Border Collie puppy who had just come in as a stray. His name was Ken. As she described this puppy to me I had a little chuckle to myself as I tended to warn prospective dog owners away from working breeds if they lived in suburbia. I also did not consider a working dog to be a good match for our family in our current situation with very young children. That said, I decided to go and meet this little guy, not so much to bring him home but more so for a bit of a puppy fix. Several days later I visited Ken again, this time with my two little boys in toe and my wonderful father-in-law to assist with the introduction. I was sure Ken would be too energetic or rough or potentially scared of them. He proved me wrong. We spent an hour or so with him that day. He was gentle, wiggly and relatively calm. No sign of fear at all. Again, Ken was a little star. "Damn!" I thought to myself. "Next step: Meeting Dave and our old Lab Joseph". Dave didn't need too much convincing to meet Ken but I was a little concerned by how Joe would receive him, being that he was still a puppy. A week later we had our third meeting with Ken. Dave liked him a lot and, surprisingly, so did Joe! I was really surprised by Joe's response to Ken. The meet and greet went so well that we agreed to foster Ken with a view to adopt, all going well. Secretly I was still convinced it wouldn't work out but I was happy to have him at home learning skills that would help him be an even better companion. The weeks rolled by and Ken just fitted in so well. He was easy. About six weeks after bringing him home we officially adopted him and renamed him Lenny. It was the 2nd of November 2017. His Gotcha Day. It's important to acknowledge that the past year with Lenny hasn't all been rainbows and unicorns. Other than the usual puppy issues, like chewing everything, we have had some minor challenges. Toilet training went really well initially and then reverted in Winter. Mostly due to me not having as much time to devote to training (because two toddlers!) but also because Lenny hates going to the toilet on wet grass. He has improved a lot but still has the occasional accident overnight, especially when it's been raining. Lenny was also initially quite fearful of motorbikes, trains and bicycles when we'd encounter them during walks. I've been working consistently on this and he is much calmer when a train or motorbike goes by. We are still working on teaching him that people on bicycles are nothing to be afraid of. He's much better but still has a little way to go, especially when they're close and moving fast. I see the Border Collie come out in him when he mouths the boys as they move and play. He is very gentle and the boys know to be still and say NO! Lenny is learning to carry a toy or ball in his mouth when the kids are running or riding their bikes. The boys are also enjoying throwing the ball for him - which he loves! Lenny really likes to stalk and chase Magpies during walks. He would bolt after them almost wrenching my arm out of it's socket. Teaching him to "leave it" and reinforcing focus on me with high value treats while walking past the Magpies has worked really well to reduce this behaviour. He doesn't do it often now as long as I ask him to "leave it". Giving him regular opportunities to chase birds off lead at the local oval also helps reduce the behaviour when on lead. We have been very cautious with Lenny, Joseph and the boys. They are always separated unless actively supervised. This has kept everyone safe and helps to ensure their interactions are always positive. Although I'm a bit sad I haven't had the time I would have liked to spend with him and training him he learned the basics very quickly. He knows sit, drop, stay, shake hands (see video below), on your mat, wait, touch (a target, such as an open palm) and free. I've also trained him for a veterinary exam. I have so many ideas on behaviour to teach him but just lack the time right now. Lenny has been such a wonderful addition to our family. He is playful, affectionate, eager to please, a joy to walk, so clever and just lots of fun. Overall he has been pretty easy and adapted so well to our home and lifestyle. We look forward to sharing lots more adventures with him. Adopting a dog can be such a wonderful and rewarding experience. 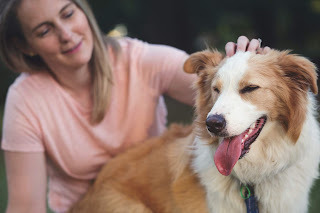 Taking the time to ensure the dog you choose is the right fit for you and your situation (and vice versa) will save a lot of stress and potential heartache down the track. And remember, if you do experience behavioural difficulties with your dog, help is available. Suitably qualified and experienced behaviourists and trainers can help you understand, manage and work to resolve problem behaviour. Have you heard about the recent discoveries of the gut microbiome and how it affects the health and behaviour of it’s host? If not, listen up. The implications of these findings not only effect us, they also effect our pets. 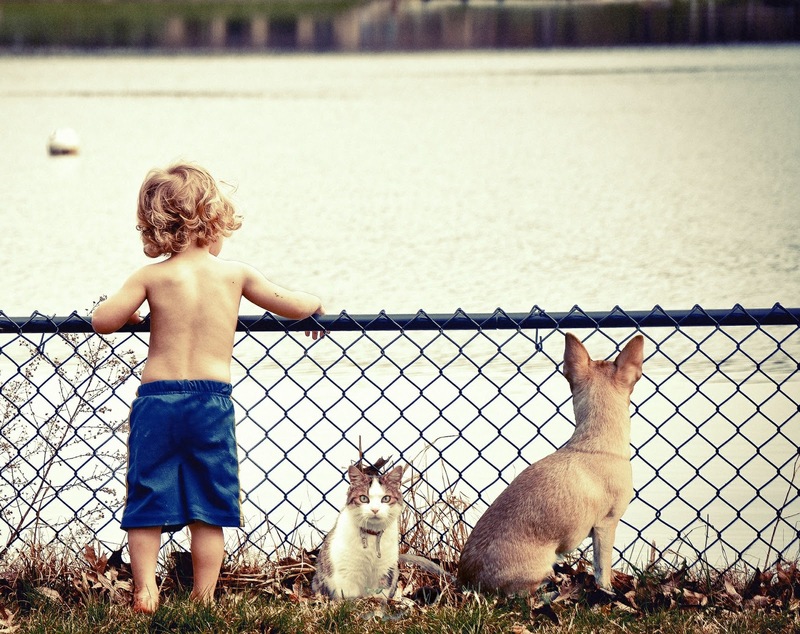 Did you know the gut microbiome of people and their pets overlap? Microbes are the smallest forms of life existing in every corner of the world, including inside the body of animals. Microbiotas exist throughout the body including on the skin and in the mouth but the gastrointestinal tract is the primary microbial habitat in humans and other animal species. In recent years, our understanding of the composition and functions of the gut microbiota, particularly in humans, has increased exponentially. Advances in technology, including next generation sequencing and metabolite profiling, have contributed to this new understanding. The gut microbiota is host-specific and variable. Loss of diversity has a negative impact on health. Diet significantly affects the composition of the gut microbiota. Research has found a link between long-term dietary habits and the structure of the gut microbiota. It also suggests that permanent adjustment of the microbiota may be achieved through diet (Marchesi et al., 2015) and that nutritional interventions may be useful for re-establishing a healthy micro biome. Ingestible carbohydrates are the food of the gut microbiota and probiotics, prebiotics and polyphenols can promote gut health via the microbiota. The gut microbiome plays a role in the development of obesity and associated metabolic disorders although the exact mechanisms remain unknown. The gut microbiota can affect the permeability of the intestines. Increased permeability of the intestinal wall is often referred to as “leaky gut syndrome”. Changes in the gut microbiota have been linked with the development of Inflammatory Bowl Disease, liver disease, obesity, diabetes, food allergies, Alzheimer’s, anxiety and depression. Researchers are now comparing the gut microbiota to a new organ; a collection of cells working together with the host, able to promote health but also initiate disease. The gut microbiota is essential to the proper function and development of the host. What do these discoveries mean for our pets? To date, most of the research investigating gut health has focused on people. But what about gut health in companion animals? Given we are made of the same cells, organs and structures, do these new discoveries relate to our pets as well? The answer is YES! The canine and feline gut are similar to the human gut. 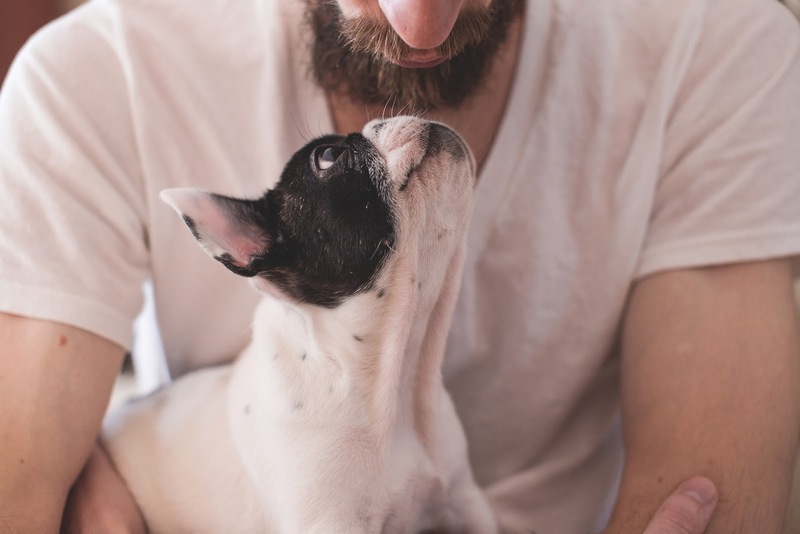 Indeed, research shows that if you live with a companion animal, you share some of your microbiota with your furry family member! Although domestic cats are obligate carnivores and domestic dogs are metabolically more omnivorous, research suggests their gut microbiota are relatively similar. The predominant phyla of canine and feline gut microbiome are similar to those of humans and rodent models which are dominated by Firmicutes and Bacteroidetes. A recent study showed that long term diet type affected the microbiota of dogs. Dogs fed a more natural diet had higher richness and diversity of gut microbiota compared to commercially fed dogs. This study also concluded that dogs fed a natural diet may be more prone to microbial infection. Diet significantly affects the microbiome of dogs. Factors affecting the human gut microbiota (e.g. age, genetics, region, diet, health status, living environment) probably also affect the gut microbiota of dogs and cats. To date, however, there are no published studies investigating the link between behaviour and the microbiome in companion animals. Research has looked at the effect on other animals. For example, one study found that microbes influenced mate choice in fruit flies with individuals preferring to mate with others that were reared on the same diet. Furthermore, recent experiments with mice showed that the gut microbiome can influence stress, anxiety and depression related behaviour and may also influence how animals behave towards each other. Understanding the taxonomy, dynamics, and functions of microbial communities, the relationships between them, the substances produces and consumed by microbes, the influence of environmental factors (such as diet, drugs, housing), the interaction with the host and the differences between healthy and diseased populations is the focus of current research. 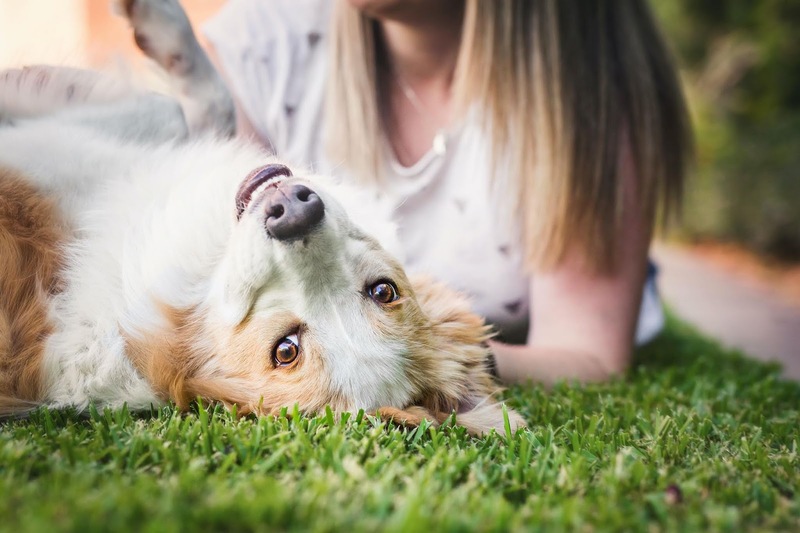 How can you support your pet's gut health? The use of probiotics for supporting gut health is also the subject of current research. Recent studies show supplementing the diet with probiotics and prebiotics could be beneficial. For example, Lactobacillus has been shown to reduce anxiety and lessen the effect of stress. Prebiotics support the growth of beneficial bacteria in the gut and can assist in recovery from illness such as acute diarrhea in dogs. 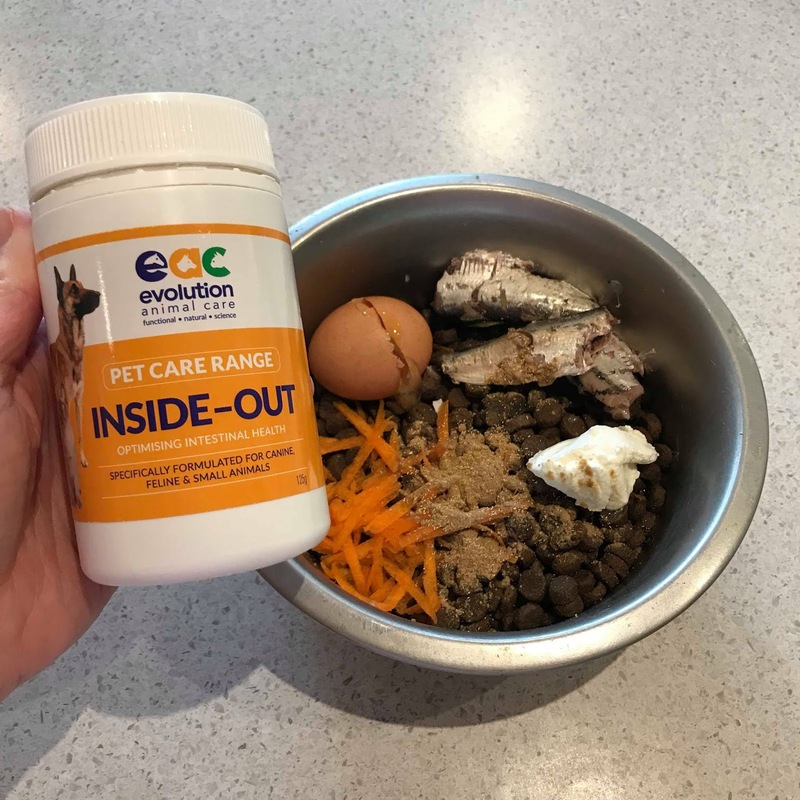 Supplements, such as Inside-Out from Australian company Evolution Animal Care, contain pre and probiotics and are available to help you support the gut health of your pets. Inside-Out is especially formulated for companion animals (and horses) and can be added to daily meals. I've been using Inside-Out, for my two dogs Joseph and Lenny, for the past 6 months. Joseph has had chronic skin disease for several years now. He's been on numerous courses of antibiotics and steroids and is now doing much better on cytopoint injections. Supplementing his diet with Inside-Out has been an important component of restoring his gut health. If you'd like to learn more about Inside-Out or purchase it for your own pet, click here. Note: Inside-Out is currently available for shipping to Australian and New Zealand residents only. As research continues in this fascinating field we will, no doubt, learn more about the incredible links between gut flora, health and behaviour, in ourselves and our companion animals. This new understanding will help us improve the way we care for our pets to support their microbiome and optimise their health. Deng, P., & Swanson, K. S. (2015). Gut microbiota of humans, dogs and cats: current knowledge and future opportunities and challenges. British Journal of Nutrition, 113(S1), S6-S17. Ezenwa, V. O., Gerardo, N. M., Inouye, D. W., Medina, M., Xavier, J. B. (2012). Animal behaviour and the micro biome. Science, 338(6104), 198-199. Gomez-Gallego, C., Junila, J., Mannikko, S., Hameenoja, P., Valtonen, E., Salminen, S., & Beasley, S. (2016). A canine-specific probiotic product in treating acute or intermittent diarrhoea in dogs: A double-blind placebo-controlled efficacy study. Veterinary microbiology, 197, 122-128. Hang, L. (2018). The Gut Microbiome and Behaviour. International Association of Animal Behaviour Consultants (IAABC) Conference 2018. Kim, J., An, J U. Kim, W., Lee, S., & Cho, S. (2017). Differences in the gut microbiota of dogs (Canis lupus familiarise) fed a natural diet or a commercial feed revealed by the Illumina MiSeq platform. Gut pathogens, 9(1), 68. Marchesi, J. R., Adams, D. H., Fava, F., Hermes, G. D., Hirschfeld, G. M., Hold, G., ... & Tomas, L. V. (2015). The gut microbiota and host health: a new clinical frontier. Gut, gutjnl-2015. Disclosure Statement: As an Inside-Out affiliate I earn commission from qualifying purchases. Our dogs, and all animals for that matter, are learning about their environment and the consequences of their behaviour 24/7, not just during formal training sessions. This means that every interaction your dog has with you, other people and other dogs, as well as all their previous life experiences, shapes their behaviour and the way they view their world. Animals repeat behaviours that pay off; that have a desired consequence (also called a "reinforcer"). Reinforcers are not necessarily treats, rather they are consequences that strengthen (or increase) behaviour. This means that any behaviour (good or bad) that maintains or increases in frequency must have reinforcement value to the animal or else it wouldn't continue. 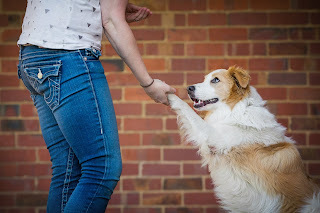 Dogs that jump up on people is an example that comes to mind and a behaviour that's easily prevented (learn how here). If you want better behaviour from your dog (or other animal), don't take good behaviour for granted! As pet owners we tend to do this a lot! When our pets are calm and relaxed we ignore them. Then we give them attention (e.g. tell them off) when they do the wrong thing. What we should be doing is what I call the 4Rs: Reinforce the Right Response Religiously. This simply means noticing when our dogs (or cats or birds etc) are offering behaviours we want to see more of (e.g. being calm and compliant or any other behaviour you like) and reinforcing that behaviour generously and frequently. The more often a desired behaviour is reinforced, the more likely that behaviour will be repeated in future. That's how behaviour works! But there's a catch - you must choose your reinforcers wisely and you must be consistent! Not all reinforcers are equal and lots of factors influence how effective and valuable different reinforcers are to an individual (you can learn more about reinforcement effectiveness here). The important thing to understand is that just because you think something is reinforcing for your animal doesn't mean that's true. It's the learner who decides what's reinforcing, not the trainer. Experimenting with different reinforcers (e.g. 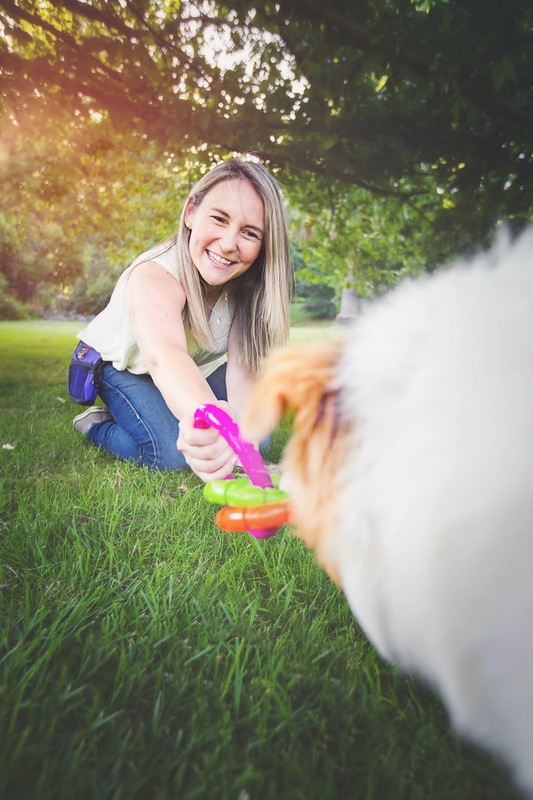 food, toys, attention, pats) can help you determine which ones are most effective for the individual animal you are working with. So now that you understand the importance of not taking good behaviour for granted and instead reinforcing the right behaviour religiously, go and give it a try! You'll be surprised by how quickly you can get great results when you consistently reinforce behaviours you like. 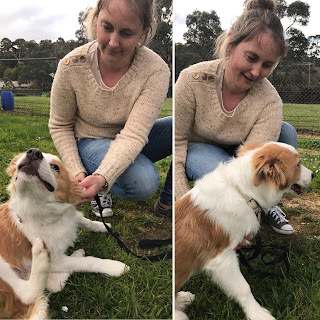 Dr Kate Mornement is an Applied Animal Behaviourist & Consultant who runs Pets Behaving Badly in Melbourne, Australia. You can follow her on Facebook or subscribe to her blog here. Does your cat go to the toilet in all the wrong places? Inappropriate toileting is the most common cat behaviour problem I'm called in to assist with. 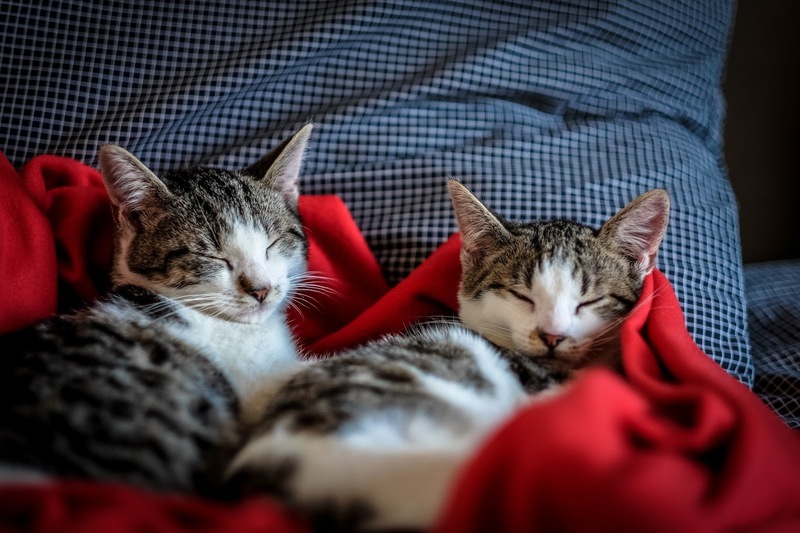 It's a messy, smelly and frustrating issue for many cat owners and can be a source of stress and anxiety for both human and feline family members. So why do cats toilet inappropriately and how can this behaviour be resolved? 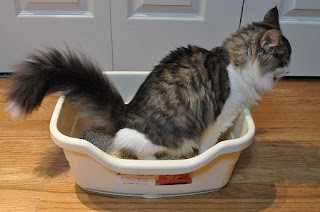 The term "inappropriate toileting" (also called inappropriate elimination) is an umbrella term which covers several elimination problems in cats. These include urine marking/spraying; inappropriate urination and/or defecation. Simply put - any form of elimination done inside the home and outside of the litter tray. In my consulting work, as a behaviourist, I've seen cats that toilet inappropriately or spray on clothes, shoes, handbags, shopping bags, suitcases, carpet, furniture, human beds, dog beds, in the bath/shower, sinks, wardrobes, on walls, doors and even in a water bowl!! If your cat toilets inappropriately the first thing to do is to make an appointment for a check up at the vet. A number of physical issues, such as UTI's and bladder infections, can be responsible for initiating toileting problems and must be addressed before the issue is treated as behavioural. Cats that experience pain or discomfort whilst using their litter tray can then associate using the tray with a feeling of pain or discomfort. This can result in the cat avoiding using the litter tray in future, even though the health issue may have resolved. Learning to toilet in the right place is behaviour kittens learn from their mother. Kittens that were separated from their mother and siblings too early often miss out on this early learning. The environment in which the kitten was raised also affects their toileting habits. For example, kittens that were not given ready access to litter trays may not necessarily understand how to use one when they go to their new home. When a cat suddenly stops using their litter tray sometimes it's due to a negative association. This can occur for several reasons including the location, orientation or design of the tray. For example, I once had a consultation with a cat who suddenly stopped using the litter tray after moving house. After assessing the cat and the new home environment I saw that the tray was placed right next to the dryer, which was quite loud when in use. Once the tray was moved away from the dryer, the cat started using it again. The tray design and litter type also matter. Choose a tray style your cat is accustomed to and comfortable with. I see many cat owners choosing small or enclosed litter trays for large cats who have difficulty using them comfortably. Cats can also develop a strong substrate preference in terms of the type of litter material they prefer. Try to keep the litter consistent from when they were a kitten or conduct a 'substrate test' in which you offer several different types of litter at once and see if your cat prefers a specific type. Then, stick with that one. The general rule for the provision of litter trays in indoor only multi-cat households in one tray per cat plus an additional tray. This may sound excessive, however cats are highly territorial by nature and often avoid using trays that hold a strong scent of another cat, even one they live with and get along well with. Eliminating competition for access to trays can help reduce inappropriate toileting. Cats are highly territorial animals by nature. In the wild, they go to great lengths to maintain a territory and keep others away because their survival depends on it. Even though domestic cats are provided with everything they need to survive (indeed, thrive! ), they still retain the instincts to protect their territory. Urine marking is one way cats communicate that territory is occupied. It's a normal feline behaviour which becomes unacceptable when done in our homes. Cats from multi-cat homes are more likely to toilet inappropriately because they have to share their territory and resources (litter trays, toys, cat towers, scratch posts etc) with other cats. Cats confined to smaller homes, such as apartments and units, also tend to be more likely to toilet inappropriately because they have less available territory. 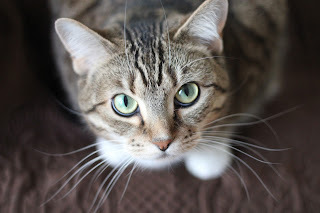 But it's not just other cats in the home that contribute to territorial spraying, neighbourhood cats encroaching on your cat's territory can also be a contributing factor. Stressed and anxious cats are more likely to toilet inappropriately. Common triggers for stress/anxiety-related inappropriate toileting include moving house, the owner travelling for long periods, the introduction of a new companion animal, the arrival of a new baby and a neighbourhood cat encroaching on your cat's territory. Try to establish the cause of the stress/anxiety and alleviate it. If you don't know how, contact a qualified behaviourist for help. Anti-anxiety medication may be needed to allow behaviour modification to be successful and this can be discussed with your vet. In many cases there is no quick fix for inappropriate toileting because it can be such a complex issue. That said, taking the following steps can help reduce, and even resolve, it in many cases. Thoroughly clean previous stains using an enzymatic cleaner to remove all traces of the stain. A black light torch can be useful in assisting to identify and clean all previous stains. Check the house every few days and clean any new marks. Provide an adequate number of litter trays in appropriate locations. Avoid busy thoroughfares and noisy spaces. Cat's need to feel safe when using the litter tray. Clean litter trays daily. Some cats don't like to toilet in a tray containing a strong scent of another cat. Identify and alleviate sources of stress and anxiety where possible. Calming aids such as a pheromone diffuser and natural supplements may assist. Increase available territory with more vertical spaces. Window hammocks, cat towers and shelving work well. Elevated spaces help cats feel safe and secure and can help reduce stress and anxiety. Reinforce litter use with positive consequences (i.e. high value treats and praise). Going to the toilet (whether in a litter tray, outside or in the wrong place) is a self-rewarding behaviour. The consequence is a sense of relief no matter where they go. By make it highly reinforcing to toilet in the litter tray you make it more likely the behaviour will be repeated. Cover couches and prevent access to rooms of the home where your cat toilets inappropriately until the issue has resolved. It can be very difficult to completely remove all traces of urine from carpets and soft furnishings, so prevention is better than cure! Use deterrents such as aluminium foil or plastic sheeting in areas where your cat has toileted inappropriately to discourage them in future. If you've tried all my tips and your cat is still toileting in the wrong places, it's time to call in an animal behaviourist to thoroughly assess the situation and your cat's behaviour. As I explained in the introduction of this article, this can be a very complex problem requiring an in-depth analysis by a qualified and experienced professional. Addressing this issue sooner, rather than later, provides a much better opportunity to successfully resolve it. Welcome to my latest blog post in a series looking at environmental enrichment for companion animals. The previous posts looked at ways to provide enrichment to pet dogs and cats. 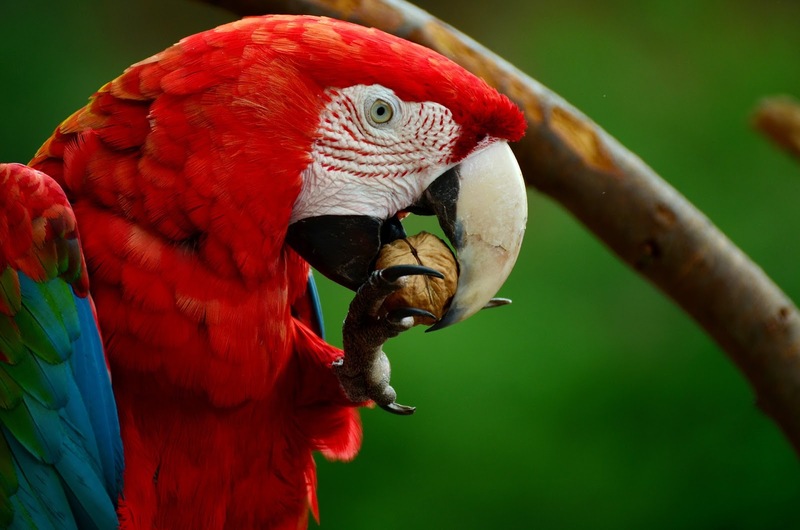 In this post I will discuss the importance of environmental enrichment for parrots and the best ways to enrich your companion parrot's life. From the relatively small (and more common) budgies, lovebirds and cockatiels all the way up to the larger Cockatoos and Macaws, parrots come in an amazing range of sizes, colours and personalities. Unlike cats and dogs, companion parrots have not undergone thousands of years of captive breeding for the purpose of domestication. This essentially means they remain wild animals in terms of their behaviour (Hoppes & Gray 2010). In the wild parrots live in flocks with a sophisticated social structure and complex interactions, the basis of which is the pair bond. Parrots can fly hundred of kilometres per day and spend hours of their day foraging for food and interacting with other members of their flock. Contrast this to the life of a companion parrot confined to a cage, alone for much of the day. The captive parrot shares the desire to perform the same innate behaviours as their wild counterparts, however their ability to do so is limited within the constraints of their cage and the home environment (Mornement, 2018). Why do companion parrots need enrichment? Companion parrots need enrichment to provide them with opportunities to perform species specific behaviour, which is critical for their mental and physical well-being. Even though many pet parrots are provided with everything they need to survive (i.e. food, water, shelter and human social interaction), they must be provided with opportunities to engage in normal parrot behaviours, including foraging, bathing, flying, problem solving, preening and socialising, regularly in order to thrive. In my work as an applied animal behaviourist, I see many companion parrots who have developed behaviour problems because they are unable to be parrots. Some common problems I encounter are feather picking disorder, excessive vocalisation (screaming) and aggression due to fear, territorial behaviour or mate defence. By providing daily enrichment opportunities, companion parrots can express species-specific behaviours in an appropriate way. This can help to alleviate problem behaviours and even prevent them in the first place. If you've read my other posts in this series, you'll remember that environmental enrichment can be Animate (social) and Inanimate (physical). 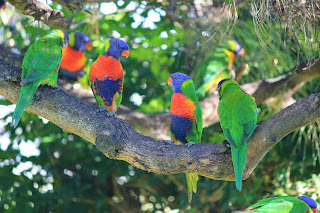 Animate enrichment is the provision of social stimulation from interaction with other birds or people. Whereas inanimate enrichment involves interaction with objects including toys, feeding enrichment, olfactory and auditory stimulation. The best enrichment for companion parrots facilitates behaviours seen in the wild and provides opportunities for mental stimulation (problem solving), social interaction and physical exercise. 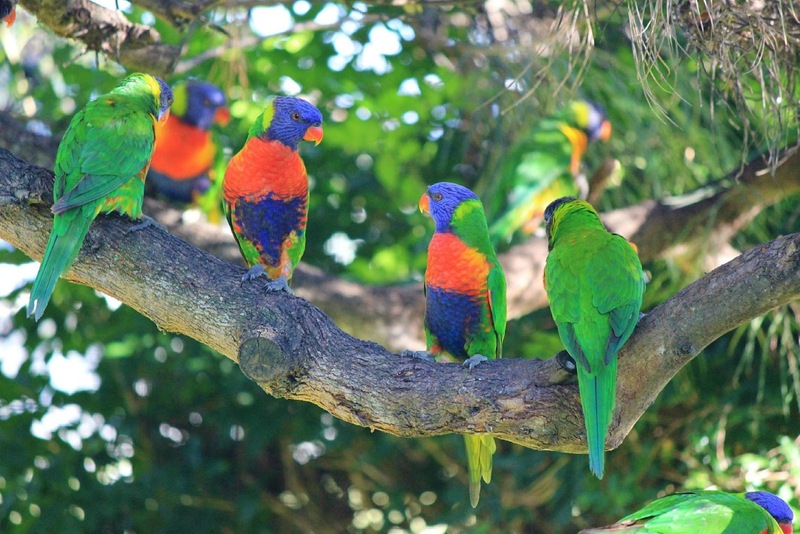 Parrots are highly social flock animals and need social enrichment every day. Many species are long-lived and most form strong attachment bonds to their caregivers. Having two (or more) companion parrots can help provide much needed socialisation with other birds, which is very beneficial if the owner works full time. If you only have one bird, it's critical to allow your companion parrot time out of its cage every day to be with you. Spend time talking and playing with your parrot daily. Training is a great way to share time together in a productive way (see below). Parrots are no longer considered the "bird brains" of the animal world. Rather, the latest science is shining a light on the incredible intelligence and problem solving abilities of parrots (Milewski, 2015). Wild living parrots spend a good proportion of their day finding and foraging for food. This requires thinking, problem solving and physical activity. For this reason, companion parrots should be fed from foraging toys, rather than eating ad lib from a bowl. Parrots also have complex and varied species-specific dietary and nutritional needs. The diets of many wild parrot species remain poorly understood. 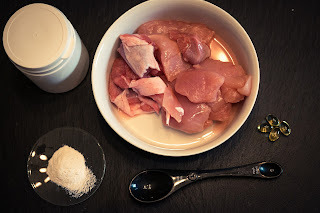 An appropriate diet it critical to your companion parrots health and well-being. If you're unsure whether you're feeding your bird an appropriate diet, check with a knowledgeable breeder or avian veterinarian. Many people have unrealistic expectations of their bird's behaviour. Parrots are naturally loud, messy, destructive and mischievous. However, these normal parrot behaviours in a home environment can be problematic for many people. Companion parrots need to be taught appropriate behaviours, such as chewing on appropriate items, vocalising in desired ways (i.e. not screaming loudly) and toileting in certain areas, when living in our homes. Positive reinforcement training is the most effective way to teach parrots desired behaviour. Here is an introduction to positive reinforcement and its benefits for companion parrots. Allowing your bird daily flight opportunities is extremely enriching. Flight facilitates physical exercise and problem solving. It also allows for a quick get away if the bird is frightened. The downside of allowing your bird to fly is that our homes are full of potential dangers (e.g. windows, open doors, electrical cords, stoves etc). The practice of clipping one or both wings of companion parrots to reduce or prevent their ability to fly, although controversial, remains popular today. 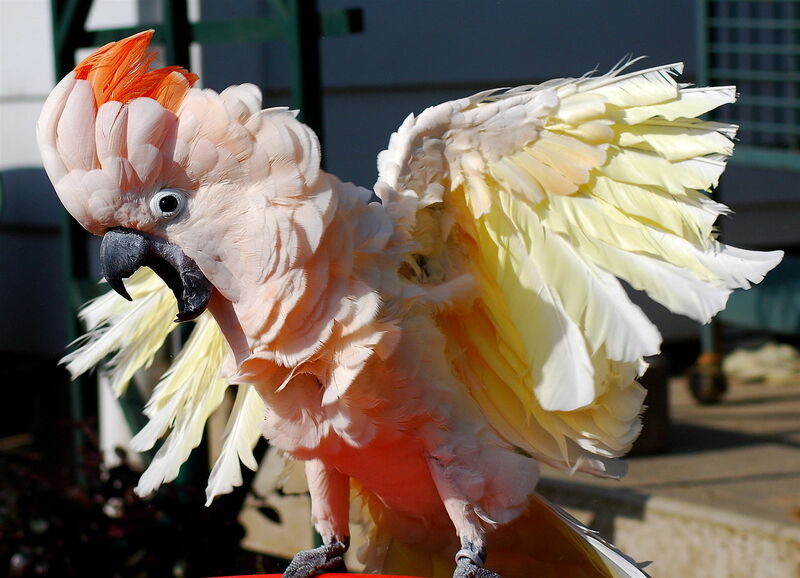 Most people clip their birds wings for safety reasons or to make the birds easier to handle. I am now firmly against this practice in most cases for a number of reasons. My knowledge and experience to date clearly suggests that preventing parrots from their right to flight severely compromises their welfare. That's all I'm going to say about it for now and will write about the topic in depth in a future blog post. Other ways to provide physical enrichment include toys that promote your parrot to use its beak and feet to manipulate them as well as items that encourage your parrot to climb. Things like parrot play gyms (made out of natural timber), swings and ropes work well. Daily opportunities to bathe is another way to enrich your parrots life. Bathing is not only enjoyable for birds but it's vital for their skin and feather health, helping to promote preening. 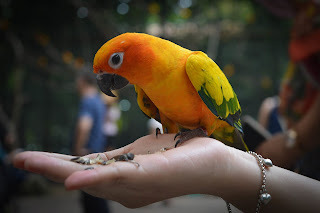 Parrots are highly sensitive creatures who need their physical and behavioural needs met (and ideally exceeded) to live a happy life in captivity. Problem behaviours are common in companion parrots, particularly when one or more of their biological needs are not being sufficiently met. If you'd like to learn more about how you can provide your parrot with enrichment download these FREE parrot enrichment activity books, written by a parrot enrichment specialist HERE. I'd love to hear about other ways you enrich your parrot's life. Feel free to share your ideas in the comments section! Hoppes, S & Gray, P. (2010). 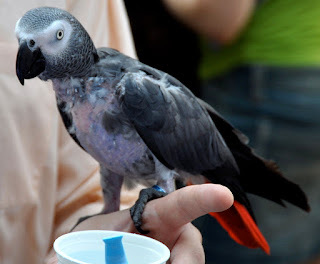 Parrot rescue organizations and sanctuaries: A growing presence in 2010. Journal of Exotic Pet Medicine, 19(2), 133-139. Meehan, C. L. Garner, J. P. & Mench, J. A. (2004). Environmental enrichment and development of cage stereotypy in Orange-winged Amazon parrots (Amazona amazonica). Developmental Psychobiology, 44(4), 209-218. Meehan, C. L. Millam, J. R. & Mench, J. A. (2003). Foraging opportunity and increased physical complexity both prevent and reduce psychogenic feather picking by young Amazon parrots. Applied Animal Behaviour Science, 80(1), 71-85. Milewski, A. (2015). New intelligence on Australian parrots. Wildlife Australia, 52(4), 28. Mornement, K. (2018). Animals as Companion, In Animals and Human Society (pp.281-304). 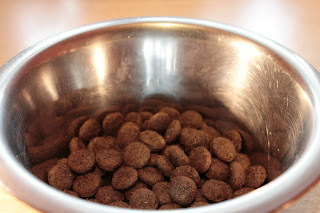 Following on from my recent blog posts about the importance of environmental enrichment for companion animals, and environmental enrichment ideas for pet dogs, this blog post is all about enrichment ideas for cats! Felids are obligate carnivores, specialising on a diet of animal meat and organs. In the wild, cats are free to express the full range of their normal behaviour, including feeding behaviours through locating, stalking, chasing, capturing and killing their prey; behaviours which require time, problem solving and intense activity. In contrast, the artificial and predictable environment of captivity frustrates the normal behaviour of wild felids and can lead to the development of abnormal behaviour and psychological disorders (Damasceno & Genaro, 2014). Despite the fact that companion cats are domesticated, they too retain the instincts to perform normal, species-specific behaviour. Species-specific behaviours of the cat are very similar to that of it's wild relative, the African wildcat, and to free-roaming cats. These include social family rankings, elimination and feeding behaviours (Overall, 2005). 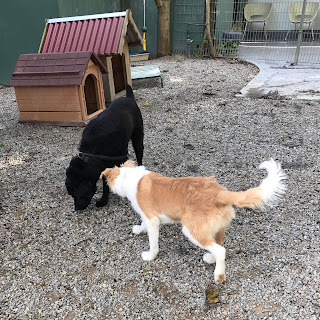 When owners understand these normal behaviours and provide appropriate outlets for them, the behaviours are less likely to be expressed in a problematic way. As is the case with pet dogs, our modern lifestyle is frequently in opposition to the life our companion cats evolved to live. Increasingly, pet cats are confined to the home and many do not have regular access to the outdoors. Although this keeps them and our native animals safe, many cats spend long periods of time in isolation unable to exhibit normal hunting or social behaviours. Consequently, these cats often develop problem behaviours such as aggression towards their owners (or animals living in the home); destructive scratching and inappropriate toileting inside the house. Environment enrichment can be divided into Animate (or social) and Inanimate (physical). Animate enrichment comprises social stimulation arising from interaction with a member of the same species (infraspecific), different species (interspecific) or both. Inanimate enrichment involves interaction with inanimate objects such as toys, feeding enrichment, olfactory or auditory stimulation (Kiddie et al., 2017). When deciding what kind of environmental enrichment to give your cat, it's important to consider your cat's breed/breed type, temperament and personality, age, health, likes and dislikes. Observe your cat's behaviour and take note of the activities they engage in of their own accord. This will provide clues about the types of enrichment your cat might enjoy most. For example, does your cat go crazy for catnip? Or do they display a strong preference for certain kinds of toys? Or is food the number one thing on your cat's agenda? Another important consideration for companion cats is that they prefer high places. This is especially true in multi-cat or multi-pet households. Being able to get high up helps cats feel safe and secure and gives them a great view of their surroundings. Tall cat towers, window beds and high shelving are just some ways to provide high up places. Cats have the ability to live in social groups under conditions where food and space is plentiful. Affiliative behaviours such as also-grooming, also-play, nose touching and maintaining physical contact have been observed in social groups between certain individuals, indicating a preference for spending time with particular individuals. This means that opportunities to spend time with other cats may have welfare benefits under specific circumstances and where there is no competition for access to high value resources such as food, water, toileting areas and outdoor space (Ellis, 2009). No wild-living cat gets their food for free, served up in a bowl, without having to work for it. Wild felids spend time finding, hunting and stalking their prey. They expend energy and problem solve in their attempt to catch prey. Contrast this to our domesticated cats. Even though we feed our pet cats a good quality daily diet, they still retain the instinct to perform hunting behaviour and to seek and find food. In fact, research shows that all animals prefer to work for food. It's called contra freeloading. Feeding enrichment can be provided by feeding you cat exclusively from interactive food dispensing or puzzle toys. There are numerous such toys on the market (just Google "cat food toys") so choose one that suits the type of food you feed. For cats fed dry food we like the Kong Wobbler for cats or you could use an empty water bottle with the lid removed. If you feed your cat wet food, try using a muffin tray or an old egg carton and filling each compartment with a spoon of food. A small sized dog Kong can also work. Daily play sessions are essential to provide your cat with an appropriate outlet for normal hunting behaviour (i.e. stalking, chasing, biting). 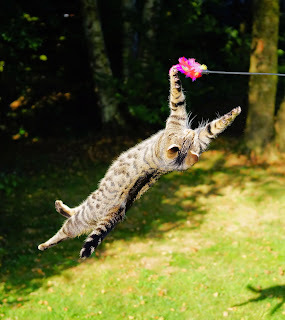 The best toys are those that mimic prey, such as feathers attached to a fishing rod waved in the air to mimic a bird in flight or a furry toy that moves along the ground mimicking a rodent. Da Bird is a great example. You can see it in action here. The Cat Dancer is another popular enrichment toy. It's movement mimics insects in flight. Toys that roll along the ground also entice cats to chase them and they need not be expensive. Scrunched up pieces of paper or even aluminium foil can make cheap and entertaining toys, as can empty cardboard boxes, pen lids and hair ties - as long as your cat doesn't chew or swallow them! Appropriate outlets for hunting behaviour can help avoid aggression problems towards people and other animals living in the home. Play is also important to provide physical exercise which releases endorphins and reduces stress and boredom. Click here for the most popular cat toys on Amazon. If you're in Australia, like me, Kmart have a wonderful range of cat toys starting at just $2! Remember to rotate toys often and introduce new toys every now and then to maintain your cats interest. Sensory enrichment can be provided in numerous ways. Water fountains (instead of a water bowl), pheromones, scents and herbs (e.g. catnip and cat grass) can all help stimulate the seeking system and a cat's curiosity. If your cat enjoys being groomed, a daily brush can be an enriching experience. Cat videos and cat games on YouTube showing real and animated animals can provide hours of entertainment, as can a number of phone and iPad Apps designed specifically for cats. Similarly, a window view of birds outside can be enthralling, as long as it doesn't upset your cat. Cats are highly territorial and like to mark their territory with their smell. They do this by rubbing their cheeks on furniture (and people!) and by scratching objects which also deposits scent from glands on their paws. It's important to provide your cat with opportunities to express this normal feline behaviour in appropriate ways. 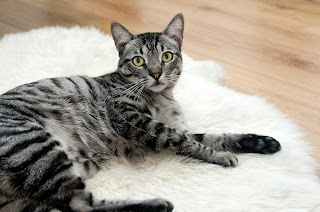 Scratching posts, cat towers and scratch mats work well and help avoid your cat targeting your couch or curtains. 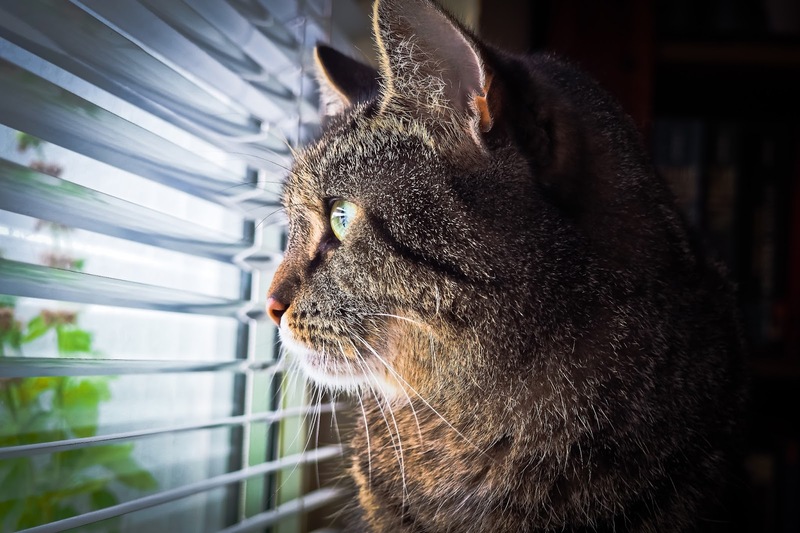 Many councils in Australia and other countries now enforce "cat curfews" stipulating that pet cats must be confined to the owners property at certain times of the day (usually night time) or permanently. Allowing cats the opportunity to spend time outside is crucial for their well-being. Outdoor access provides many benefits such as additional space (territory), sensory stimulation through new smells, sights, sunshine etc. 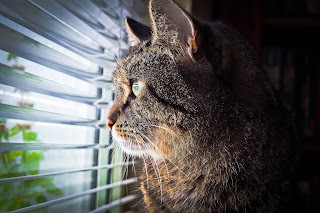 Whether you live in an apartment or a large house, own your home or rent, there are numerous options available to allow your exclusively indoor cat safe access to the outdoors. 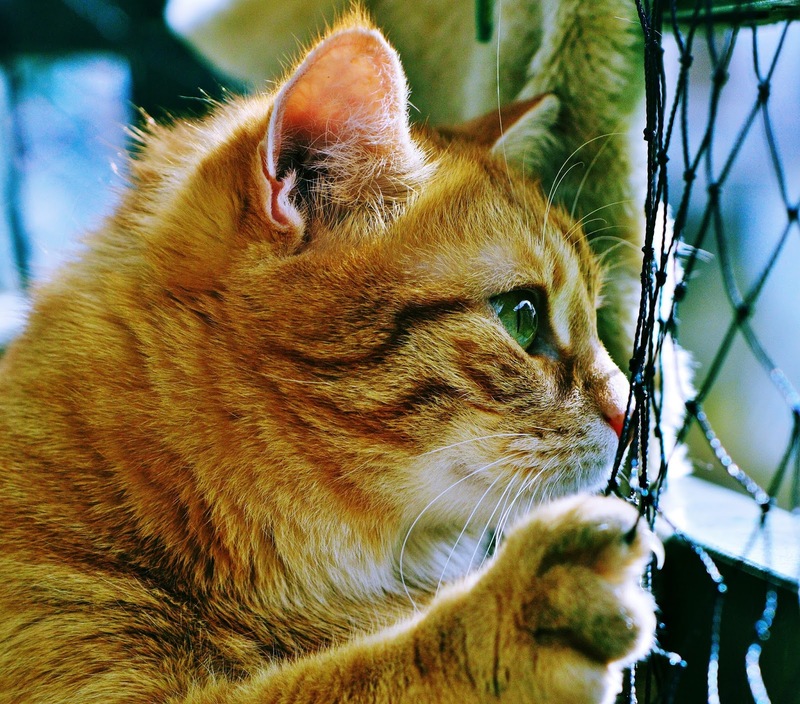 Cat netting is a great option allowing balconies, courtyards or a small section of the backyard to be sectioned off. If you're handy with the tools, you can save money with this option and do it yourself! Other companies offer outdoor cat enclosures and cat runs which vary considerably in their design and cost. Some companies will design and build a solution specific to your needs. Remember that cats like to have access to high vantage points, where they feel safe and have a good view of their surroundings, so providing some elevated places in the outdoor space is important. You are really only limited by your imagination when it comes to providing safe outdoor space for your cat! I've really just scratched the surface when it comes to providing your cat with environmental enrichment. I'd LOVE to hear about the kinds of things you do to enrich your cat's life! Leave a comment and share your tips. Damasceno, J. & Genaro, G., (2014). Dynamics of the access of captive domestic cats to a feed environmental enrichment item. Applied Animal Behaviour Science, 151, 67-74. Kiddie, J., Bodymore, A., Dittrich, A., & Phillips, C. (2017). Environmental Enrichment in Kennelled Pit Bull Terriers ( Canis lupus familiaris ). Animals: An Open Access Journal from MDPI, 7(4), Animals: an Open Access Journal from MDPI, 2017, Vol.7(4). A PhD qualified Applied Animal Behaviourist Dr Kate runs her consulting practice Pets Behaving Badly in Melbourne, Australia. She consults companion animal owners and people who work professionally with animals, provides expert witness services for menacing/dangerous dog cases and writes for various print and online publications on the topic of animal behaviour, training and the human-animal bond.